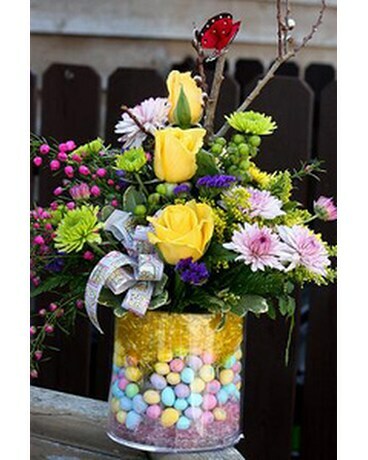 Container filled with Easter grass and Easter candy with a lovely centerpiece for your Easter table. Spring filled arrangement of yellow roses, vibrant spring colored mums and heathers. 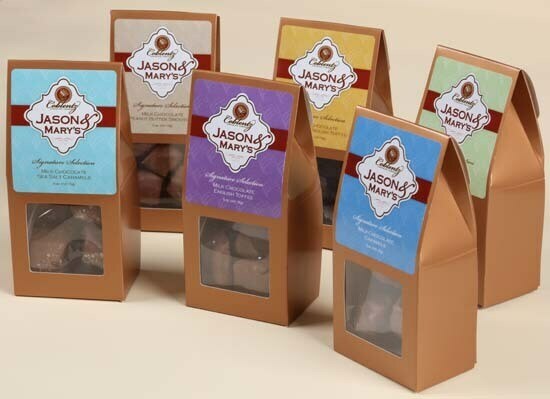 The perfect all in one Easter gift.